Wildlife photography can be absolutely stunning to look at, but eventually, after scrolling through pages and pages of photo contest winners, you can start to feel like you’ve seen it all. Not so. Have a look at these 18 wildlife photos that extraordinarily capture unique moments in nature. This perfectly timed photograph by Bridgena Barnard shows that moments kill. 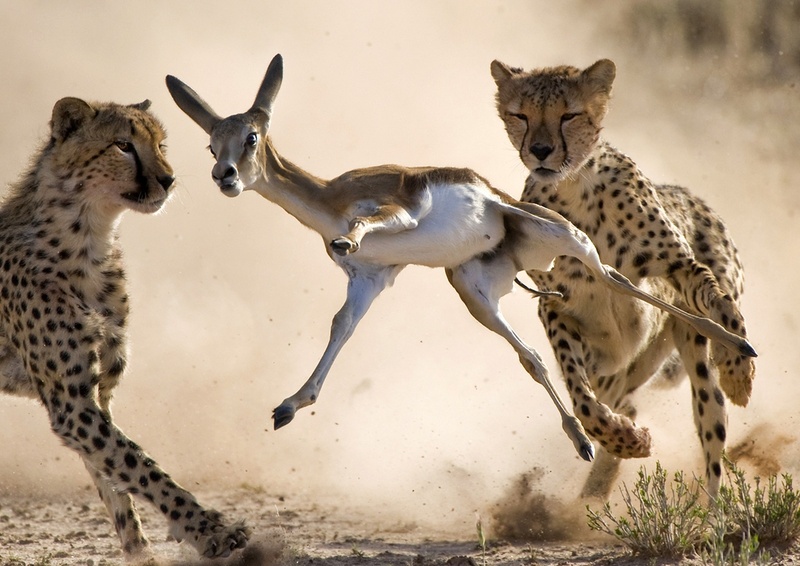 Two cheetahs corner a springbok faun in this impeccable image.